If you want to understand the insidiousness of narratives, pay close attention not only to those who are written about. Pay more attention to that which is left unsaid, and at those whose legacy and history are ignored, those political leaders who are rarely written about. In the narrative that was planted in India in the decades following Independence, Sardar Patel's name was conspicuous by its absence. Growing up in socialist India in the 1970s and 1980s, I recall Sardar Patel's name as taken only in the safety and privacy of homes, behind closed curtains, where the elders would cautiously whisper about the man who united India and who should have been prime minister instead of Jawaharlal Nehru. We, the children, would wonder who this man was. Who was Sardar Patel, about whom not even a line could be found in our government-sanctioned history textbooks, and about whom one rarely heard a word on the government-run AIR and Doordarshan? But the legend of Sardar Patel sustained, nurtured by those who had lived through Partition to see one man unite India in the years following Independence and by those who saw a dizzying array of blunders by its first prime minister sink India deeper and deeper into a morass of corruption, socialism and poverty. To the shamefully small corpus of biographies on Sardar Patel, Hindol Sengupta's book makes welcome contributions in several areas. First, it weaves as the backdrop to the Sardar's life, the freedom struggle that raged in the nation during the three decades till 1947. Though much has been written about the three famous agitations in Kheda, Borsad, and Bardoli that brought to the nation's attention Sardar Patel's genius at organisation and connect with the grassroots, the reader will learn that the Sardar's political acumen seemed to have been honed more in the municipal politics of Ahmedabad, starting in 1917. It was when a plague broke out in Ahmedabad the same year that the nation saw Patel work "almost round the clock with his volunteers to help the victims and their families. He worked at great personal risk of infection as Bal Gangadhar 'Lokmanya' Tilak had done during the Pune plague in 1896. The strain broke Patel's robust health, but sealed his reputation as a mass leader". The second is the almost asinine charge levelled by apologists of Pandit Nehru that the Sardar's health would not have permitted him to discharge the duties of prime minister effectively. Conveniently ignored is the fact that Patel's 'fragile' health did not, however, prevent him from travelling the length and breadth of the country three decades later, amalgamating hundreds of princely states into what we today know as the Indian union. The one state that he was stripped of that responsibility by Nehru was the one state where its integration into India remains an unresolved issue. If Hyderabad was "a big tumour [that] was removed from the stomach of India" - thanks to Patel's decisive intervention in 1948, Kashmir would fester to become like a cancer. The third is the refutation of the divorced-from-facts logic presented by some that India needed a prime minister like Pandit Nehru, who was an internationalist, rather than someone like Sardar Patel, who would have felt out of place on the world stage. This, again, flies in the face of facts. While the grandiloquence of Pandit Nehru's oratory was matched only by the spectacular failure of his deeds, Patel was the non-nonsense realist who had no time for empty rhetoric. As his daughter, Maniben, wrote about her father - "Action appealed to him as nothing else. He believed that a man of words and not of deeds is a garden full of weeds." "If you are determined to turn out Hindus, you must part with sufficient land to enable us to settle them. We cannot take things lying down," Patel said in November 1948. "We have seen what price we have paid in Kashmir by going to that organisation... instead of calling it the Security Council, it must be termed the insecurity council." "For us, all should be one whether we are Maharashtrians, Bengalis, Gujaratis or Tamils. If you cannot build India on this pattern, you are doomed." "In (a letter to Girija Shankar Bajpai, the secretary-general in the external affairs ministry) Patel warned about everything from communist arms smuggling in the northeast to the impact of European missionaries on the hill tribes including the Nagas 'their influence was, by no means, friendly to India and Indians'." "We cannot be friendly with China and must think in terms of defence against a determined, calculating, unscrupulous, ruthless, unprincipled and prejudiced combination of powers, of which the Chinese will be the spearhead." "...addressed to Nehru and was written only days before Patel's death. He began by pointing out, correctly, that the Indian ambassador to China was being fooled and he was being fed the idea that the Chinese would solve the Tibetan issue through dialogue. No such thing would happen, predicted the Sardar, and said that 'there was a lack of firmness and unnecessary apology in the attitude of the Indian ambassador to China towards his hosts. The undefined state of the frontier and the existence on our side of a population with affinities to Tibetans or Chinese have all the elements of potential trouble [...] Recent and bitter history also tells us that communism is no shield against imperialism and communists are as good or as bad imperialists as any other". That the myth about the suitability of Nehru over Patel as India's first prime minister continues to be peddled by some has to be treated on par with and with the same contempt as flat-earth theories. Another puzzling question, never truly answered, is why did Pandit Nehru go against the wishes of the Congress and Sardar Patel and issue an inflammatory statement that destroyed the Cabinet Mission Plan in 1946? Maulana Azad lamented that Nehru's words had wrecked the plan. Sardar Patel, in July 1946, wrote in a letter about Nehru: "He has done many things recently which have caused us great embarrassment. His action in Kashmir, his interference in the Sikh election to the Constituent Assembly, his press conference immediately after the AICC are all acts of emotional insanity and it puts tremendous strain on us to set matters right." An immediate consequence of Pandit Nehru's act of "emotional insanity" was to trigger one of literal insanity. Nehru's thoughtless remarks pushed Jinnah over the edge and led to his declaration of Direct Action Day of August 16, 1946, where more than fifteen thousand people were massacred on the streets of Calcutta. The book also sheds light on the most subtle, multi-layered and vexatious relationship between three key figures of the Indian freedom struggle — Sardar Patel, Pandit Nehru, and Mahatma Gandhi. Sengupta's job is made that much tougher by the fact that Sardar Patel was not in the habit of saving his correspondence. One hint about the dynamics between the trio of Gandhi, Sardar Patel and Nehru can be gauged from their ages. Sardar Patel (born 1875) was six years younger than Gandhi (born 1869), while Nehru (born 1889) was much younger. It is likely that Gandhi saw in Patel a younger sibling but in Nehru the Mahatma saw the son that Hari could never prove to be. Furthermore, a brother could become a rival, but not a son. Which is why many a time did the Mahatma step in and ask Patel to step aside for Nehru - as president of the Congress and then as the first prime minister of India. Four times did Pandit Nehru become the Congress president, despite not being the first choice of the Congress. It was the Mahatma who interceded on Nehru's behalf. Every single time the Sardar acquiesced to the Mahatma, without a grudge, without a murmur of protest - in the stoic manner that came to define his visage and his personality. "I have regretted no action of mine so much as the decision to withdraw from the presidentship of the Congress at this critical juncture. It was a mistake which I can describe in Gandhiji's words as one of Himalayan dimension. My second mistake was that when I decided not to stand myself I did not support Sardar Patel." "Years after his death, when Verghese Kurien... met Maniben Patel, she told him that she had gone to meet Jawaharlal Nehru after her father's death to hand him a bag of money that people had donated in cash for the Congress party. He (Nehru) did not ask her where she was living or how she was making ends meet." It would be apt to end with a glimpse into Sardar Patel's sense of humour, which was characteristically dry, like the man himself, and suffused with the same practicality. One such glimpse comes from an exchange between him and Gandhi when they were both interred at the Yervada jail in Pune in 1933. "The time Patel and Gandhi spent together at Yervada jail gives us some of the most revealing, and amusing, interactions between the two, the easy banter, and their intimate and difficult relationship. For instance, someone wrote a letter to Gandhi, presumably not a very flattering epistle, and ended by saying from 'one who had the misfortune of living in your [Gandhi's] age'. 'Tell him to poison himself,' said Vallabhbhai. 'I am afraid that would not help him,' answered Patel. 'If he poisons you and you die, he would be sentenced to death and he too will have to go. Then he would have to take his chance of rebirth along with you. It is much better if he poisons himself.'" A political biography needs to inform and educate. It needs to tell us about our true heroes. It needs to unmask those who have been worshipped as false gods. It should provide a frame of reference, a context, in which to see and assess the person. It should take care to not conflate fact with opinion. This book achieves all four to a great extent. 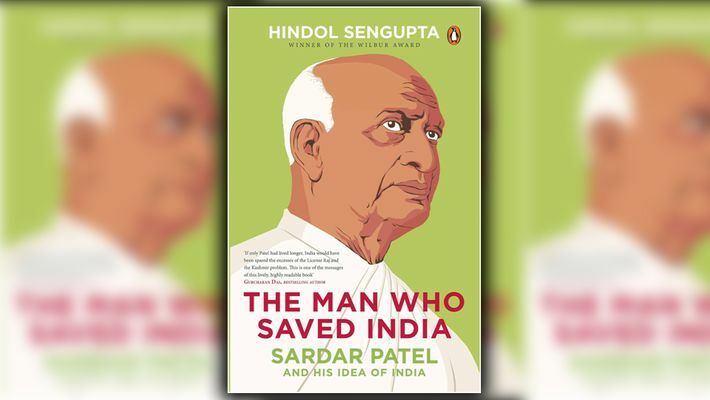 Sengupta's book, The Man Who Saved India, is a meticulously researched and important addition to the sparse corpus of literature on the 'Iron Man of India' and the best prime minister India never had, Sardar Vallabhbhai Patel. Note: this review was based on an unpublished draft of the book shared by the author.